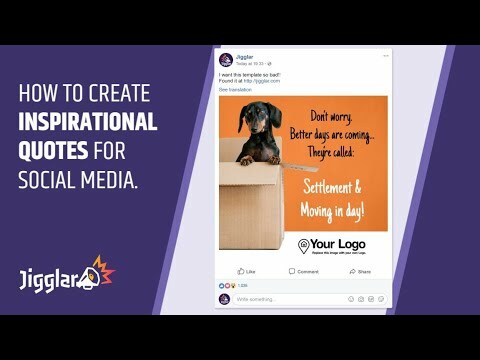 The latest research shows that Inspirational Quotes on social media are very engaging way of attracting followers and getting noticed in a very crowded market. So at Jigglar we have designed a number of Inspirational Quotes templates that you can quickly use on social media. Scroll down or use the search bar on the upper right corner. Select any of the Inspirational Quotes template available and Jiggle away.Note: All pages are editable according to your desired details & photos.